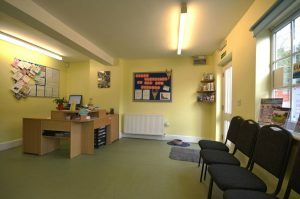 We are a friendly, approachable team at Hopwood Veterinary Centre, keen to make you and your pet feel welcome and cared for. Our veterinary team consists of Liz De Wolf, full time vet, who has been qualified for over 20 years, and Cara Alma, practice principal, who has been qualified for over 22 years. Both our vets have a keen interest in small animal medicine and surgery. Our nursing team consists of Mrs Sharron Meigh, VN, Mrs Sherran Buckley, VN, Miss Beth Woodall, RVN , Mrs Daisy Shephard, RVN, and Mrs Caroline Baker, animal nurse. Between them, all our nurses have many years experience within the industry. Daisy is available on Thursdays and Fridays. Beth is available every day except Thursday. Our full time receptionist, Mrs Zena O'Connor, is usually the first to make you feel welcome within the practice, and has been working with vets for over 25 years. We look forward to meeting our new nurse, Jenny Hedges, in November, and hope that she settles in with our family. Welcome Jenny. Appointments are at 10 minute intervals. If you require a longer appointment time, please ask when booking the appointment. We try to provide longer appointments for delicate or complicated cases. Additional costs may be incurred at the vet's discretion. Additional surgeries will be running through the summer, including afternoon clinics. Please phone for surgery times. We also run nurse clinics with our qualified staff where you can discuss health issues with the nurse at your convenience. Nurses can also provide services such as nail clipping and identichip at a reduced price to a vet consult. Beth Woodall and Daisy Sheppard will be running specific nurse clinics in the week. Please telephone or ask at reception for details. 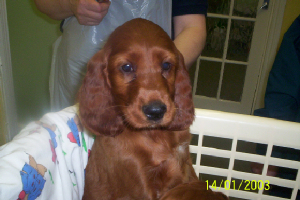 We hope that we can provide you and your pet with a lifelong care and treatment plan. Our aim at Hopwood Veterinary Centre is to educate clients into the advantages of preventative health care for their pet, and provide support and advice for the care of your pet throughout its life. Should you have any advice on ways in which we can improve our service, please do not hesitate to let us know. 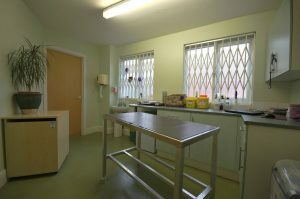 We have a fully operational theatre, including x ray and dental facilities. We operate Monday to Friday, except for emergencies. Most procedures are performed the same day, and the animal admitted in the morning will go home that day. We can arrange for animals to be kept in the evening before the operation or the evening following the operation at no additional cost if this is more convenient for you.